Just last week we got the first look at Margot Robbie’s new neo-noir thriller, Terminal, which I swear has nothing to do with the Tom Hanks-Spielberg movie. (Or does it?) The brief teaser gave us a peek into a neon-lit criminal underground, and today’s new poster offers a proper look at the film’s cast. Terminal stars Robbie as a mysterious woman named Annie who crosses paths with two assassins (Max Irons, Dexter Fletcher). 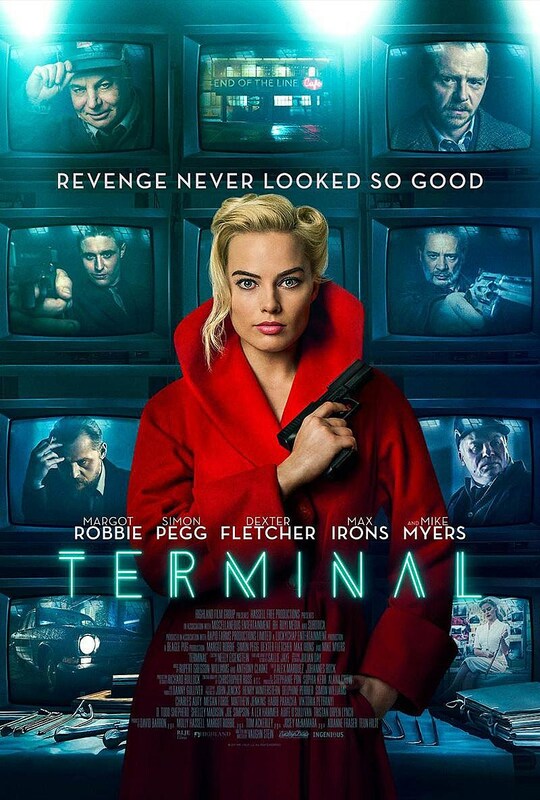 The new poster has Robbie in the same red high-collar coat from the initial photo, serving Vertigo Kim Novak vibes meets Basic Instinct Sharon Stone. What’s not to like? The poster also features the first look at Mike Myers and Simon Pegg’s characters. According to Collider, who debuted the poster, Robbie will unveil the first full trailer later today. Stay tuned for that. Terminal hits theaters May 11, 2018.